President James Michel, the Patron of the Seychelles Football Federation, welcomed delegates to the opening of the 8th Extraordinary General Assembly of the Confederation of African Football (CAF) at the Ephelia Resort, Port Launay on Monday morning. The opening was attended by Vice-President Danny Faure, the President of FIFA (Fédération Internationale de Football Association), Mr Sepp Blatter, the President of the CAF, Mr Issa Hayatou, CAF Vice-President, Mr Suketu Patel, Seychelles Football Federation Chairman, Mr Joel Decommarmond, as well as Ministers and conference delegates. The President welcomed the delegates to Seychelles and spoke of the important contributions that football can bring to the development of young people across the African continent. The President also spoke of the progress Seychelles has made in football competitions in the region. During his address, the President of FIFA, Mr. Sepp Blatter commended the choice of Seychelles as the venue for the CAF meeting, calling the islands ‘a paradise where hospitality is remarkable.’ Mr. Blatter also noted that Seychelles exemplifies the diversity of the world of football where both large and small countries participate in sporting matches of the global arena. President James Michel, President of the Republic of Seychelles, visited Eden Island on Thursday 6 December 2012. He was hosted by Craig Heeger, Chairman of the Board of Eden Island. The President visited Eden House, the Clubhouse, Apartments and Villas, beaches, and the Retail Centre which will be opened by vice President Danny Faure on Tues 11 Dec 2012. The President was delighted with progress achieved since his last visit in October 2010, and remarked on the hugely impressive quality achieved. He was particularly impressed with the lush landscaping and the abundance of fruit-bearing trees on Eden Island. 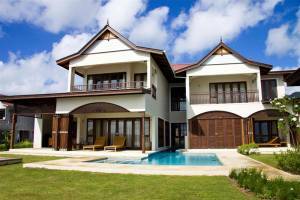 Are You Looking For a Villa For Sale in Seychelles? 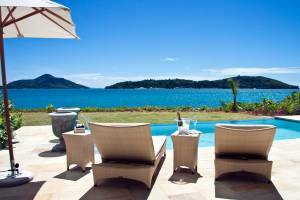 Invest in a villa for sale in Seychelles, Eden Island provides amazing property in this island paradise. Explore this Indian Ocean archipelago on luxury. Discover the Seychelles islands that offer overnight accommodation for you to explore this paradise archipelago. Invest in a vacation apartment; there is a selection of properties available from Eden Island. Find out more about the top styles for villas from across the world including Seychelles, Italy, America and Thailand. Enjoy the lifestyle while residing in a luxury home. 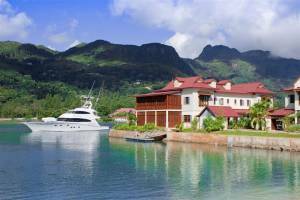 Buy property in Seychelles with Eden Island. Enjoy both the benefits of a lifestyle investment and the returns of a savvy real estate purchase. Read on for more information on Eden Island investment property. Consider Seychelles for overseas property investments that are largely self-maintained and will provide exceptional returns. Discover that value of Eden Island real estate today. Find out how to promote returns from your property. Exclusive summer villas in Seychelles waters available from Eden Island - a residential marina development offering premium island properties and moorings. 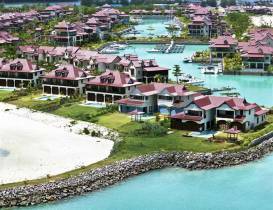 Find out more about Eden Island and the marina development's villas. Live in Luxury in a Seychelles Villa For Sale. Eden Island offers exclusive real estate in one of the world's most sought after destinations. 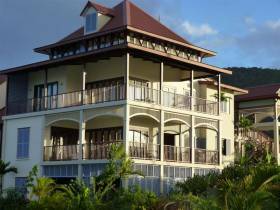 Don't miss this exclusive Seychelles villa for sale opportunity. Find out what Eden Island have to offer when you purchase a villa in the marina development.